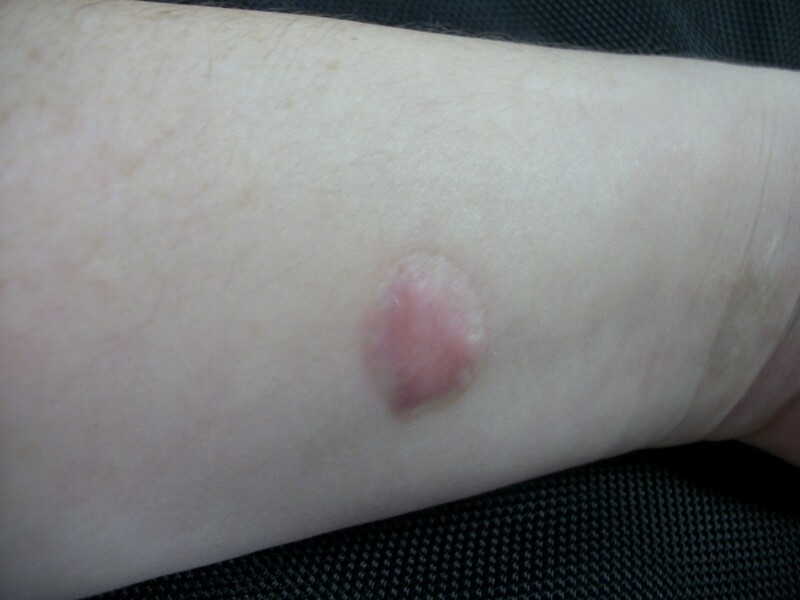 A blister is a raised area of skin that contains bodily fluids like lymph to shield an injury, which may have been caused by friction or burning. Blisters can be painful, even if they are small. Any external friction blisters can be treated easily and safely at home, but blisters inside the mouth and blisters of second-degree burns require examination by a medical professional to prevent infection that may become severe. Any kind of blister or cankers sore on the inside of your mouth should be brought to the attention of your dentist immediately. A serious condition may be occurring that could worsen quickly. The following information is for small external skin blisters. Many people incur blisters from shoes that do not fit quite right and rub painfully on the toes and heels. In elementary school, all of my friends and I suffered from this "new shoe syndrome." We hated it! The blisters broke as we walked and we suffered extreme pain. Band-Aids would not stay on. Other individuals develop blisters on the fingers from using scissors or hand tools like pliers and branch cutters. In pop culture, we hear that the best drummers develop finger blisters that pop and bleed—see the doctor if you are one of those drummer heroes! 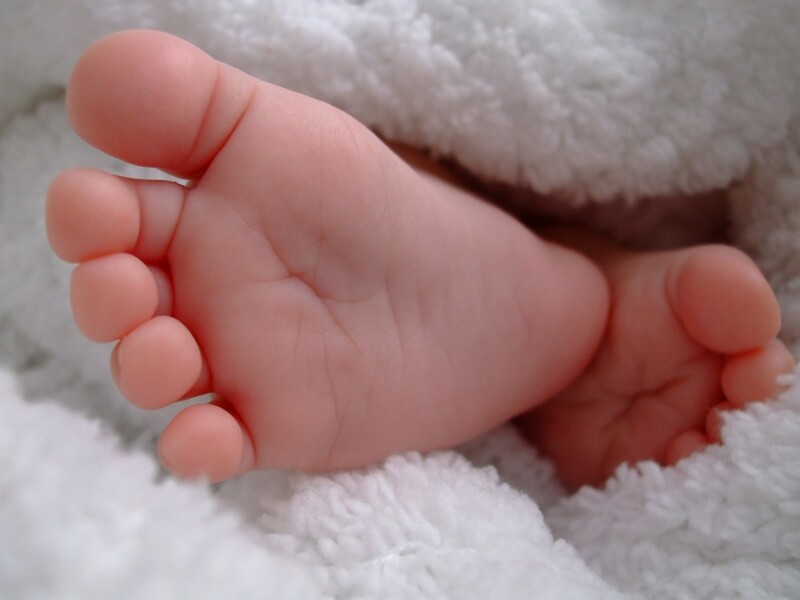 The unbroken skin over the liquid of a blister maintains a buffer against infections. This means that you should try to keep blisters unbroken. Most small blisters can heal naturally and do not require medical treatment. 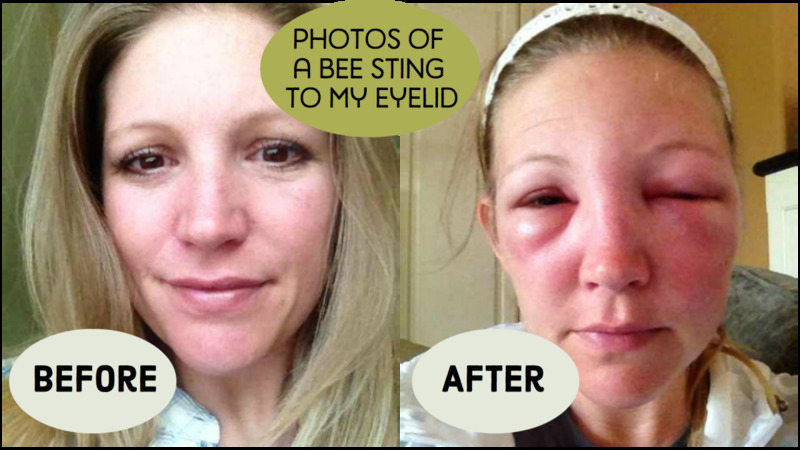 During healing time, keep the affected area washed and dry and the blister liquid can be reabsorbed into your body. Fight against the desire to pop the blister! Once popped, it can become infected. Staph infections can be deadly in these cases. As the new skin grows quickly underneath the blister, the lymph and serum (a part of the blood) liquid in it will reabsorb, and the skin on top will dry and peel off on its own, leaving new skin in its place.In fact, a product called Nu Skin can be applied over a blister to keep it in tact while it is healing. Again, do not "pop" the blister with a pin, a needle, a pencil point, or a kitchen knife. The unbroken skin over the liquid of a blister maintains a buffer against infections. This means that you should try to keep blisters unbroken. Cover any small blisters with a dry adhesive dressing, like a large Band-Aid strip. Larger blisters should be covered with a gauze pad or dressing that you can then tape in place. If you have a blister in a position that is causing you pain or that makes it likely to burst (on the bottom of your foot or palm of your hand), its important to cover it with a soft dressing to pad and protect it. Then change the dressing daily. In the case of small blisters, simply press the area around the blister that has burst in order to rid the area of the fluid (lymph) inside of it. Next, cover the blister and the area around it with a dry, sterile (germ-free) dressing, such as gauze, and protect it from infection until it heals in a few days. You might use peroxide topically before applying the dressing. Beware of blisters on the skin of the gums, especially near the root of a tooth. These may indicate tooth abscesses (infections). See a dentist as soon as you can. Large blisters, second degree burn blisters and diabetic leg blisters need a medical practitioner's care as well. Some large blisters may rarely occur around the site of a broken bone and these blisters require a physician's care. Blood blisters should also be left alone to heal. They are caused when blood vessels and tissues under the skin (sub-dermal) are damaged. If a blood blister bursts, keep the area around it clean and dry, and protect it with a sterile dressing to prevent infections. Blood blisters may be very painful and you can use an ice pack or a sack of frozen peas or corn on the area immediately after the injury that pinched a blood blister onto your skin. Use the ice for 10 to 30 minutes at a time and rest the area 5 minutes between applications. The ice should not actually touch the skin, but should be wrapped in a towel. Direct ice can cause a type of burn to the already injured area..
Blisters that have become infected may be treated by a doctor with antibiotics. Blisters caused by a medical condition like diabetes - such as leg blisters - are treated by doctors in other ways. If in doubt, call your doctor. American College of Emergency Physicians First Aid Manual. 2016. Blisters: First Aid. Mayo Clinic. 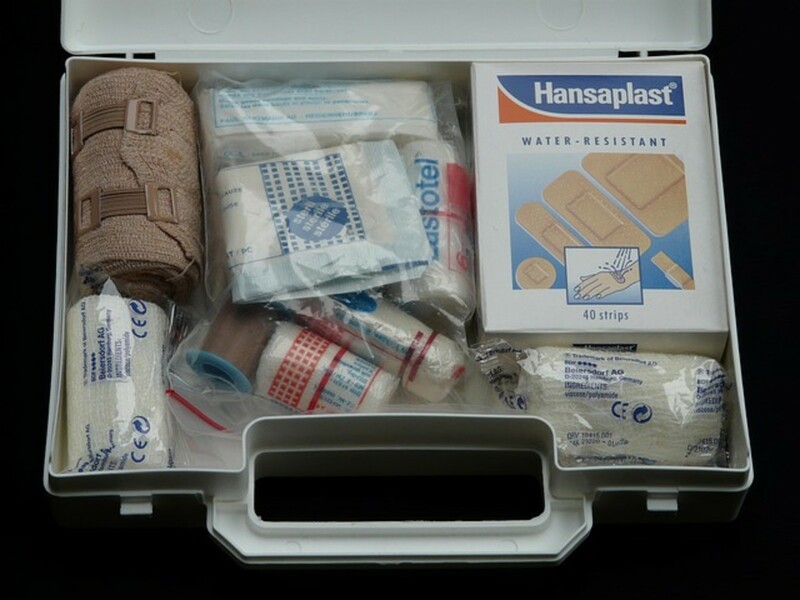 www.mayoclinic.org/first-aid/first-aid-blisters/basics/art-20056691 Retrieved May 4, 2016. Fracture blisters - NCBI - NIH; CM Uebbing, 2011. Friction blisters. Pathophysiology, prevention and treatment. - NCBI; JJ Knapik. 1995. 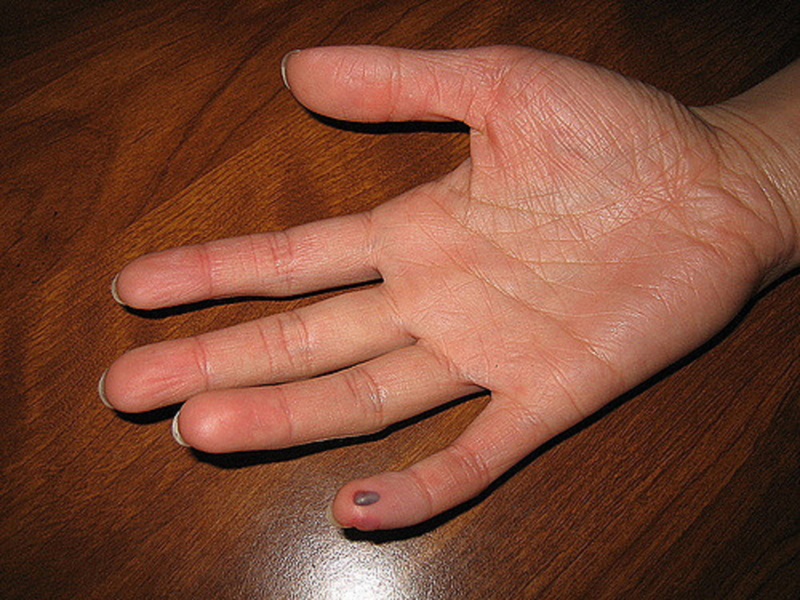 Blood blisters of the oral mucosa (angina bullosa haemorrhagica) - NIH; BM Deblauwe. 1994. What will relieve the itch from blisters? Check with your doctor before attempting any treatment at home so you avoid infections, and meanwhile - do your best NOT to scratch the blisters for the same reason. A physician may prescribe steroid creams. Sometimes, a cold wet towel held over the blisters helps. 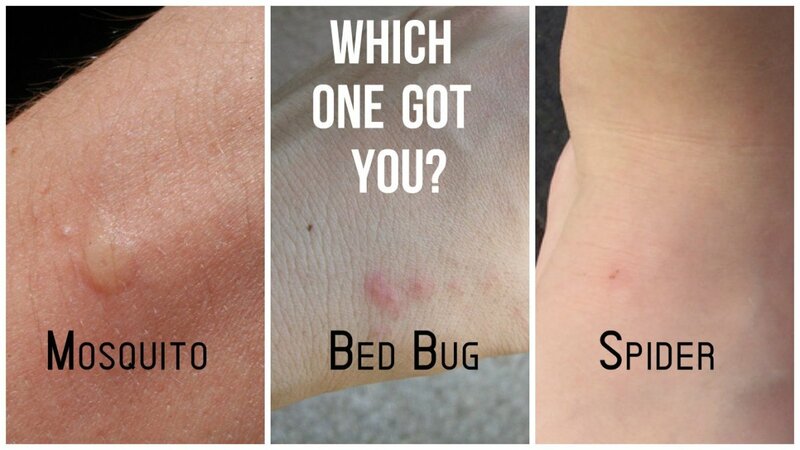 Some people use Benedryl allergy medicine successfully, but ask your doctor before using it to ease blister itch. Early Signs of Diabetes—Could You Have It and Not Know? Got blister on my foot whilst playing football, it burst in the same game and it is defiantly bigger than a half a dollar coin what should i do? answer asap!! I hate when that happens. The day someone tried to teach me to golf, I developed blisters on every finger and the palms of my hand. It was horrendous. I used a soothing cream on my hands and a pair of loose-fitting white cotton gloves to protect them for a few hours at a time. On the third day, I felt much better. I had a very painful burn blister today and It punctured and a liquid came out. My mum told my to keep it clean and now Im going to apply cold to eat and go to sleep, Hopefully it will be better by morning. Thank you so much!! Two blisters for the price of one. I think you need to begin treatment all over again, as listed in the article above, or see a physician or nurse practitioner. While camping recently I burnt my thumb whilst cooking with a trangia. The pain was really intense, so I rinsed it under cold water for 2 minutes, but the pain kept returning so I decided to apply sting cream to numb the pain. After that I applied a bandage to it but I think I put too much pressure on the burn and now a week later I am left with a burn blister and a pressure blister, any advice on how to heal as quickly as possible? Wow! this article has been very helpful for me! following your advice made my blister heal in just 3 days!thanks a lot! I have 3 blisters on the same toe from wearing heels, 2 are ordinary blister and the 3rd a blood blister, how do I ensure that they heal in the fastest possible time? I'm not a doctor, but you might use a little peroxide as a mouth rinse, or try a very small amount of tea tree oil on the blister - it tastes terrible, but I brush my teeth with it once a month. The best thing to do is to call your doctor or visit a mini-clinic in a local drug or grocery store if you have these. There, a Nurse Practioner can have a look. Ham and alma -- Let us know how the treatments worked and what else you might have found helpful! Recently for a blister on the bottom of one foot one morning, I put on a thick, snug cotton sock and by the next day, the blister had been re-absorbed. That sounds like an excllent solution, ninaredza! Thanks for suggesting it. I find that the blister inside the lip is the most uncomfortable type there it. My mum uses a chinese powdered herb to numb it. Tastes bitter but a great remedy! Sounds like a good natural cure to me, like aloe and some other plants. I'll try it and see what happens. I use coconut oil on blisters, burns, scratches....after washing first. It has some sort of natural anti-microbial property. I have very fair and tender skin and coconut oil is a good fit for me....inside and out. Seems strange, but check it out on the internet, and your local library. Thank you Eileen. I know two people that have gigantic blisters on their legs form time to time. They must see a professional to have their legs wrapped and bandaged. ONe friend suffers form diabetes and the other claims she does not have it but &quot;cannot eat sugar.&quot; I pray that an actual cure - not just wrapping - for these blisters is forthcoming soon.